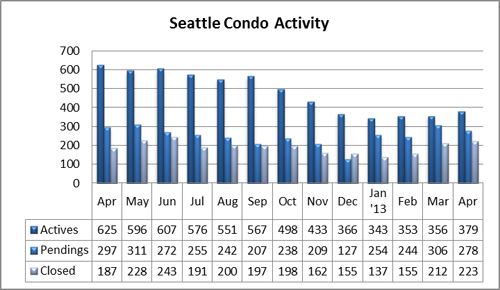 The Seattle condo market reflected a slight adjustment last month with sales activity slowing a bit, eventhough condo values continued to outpace 2012 prices. 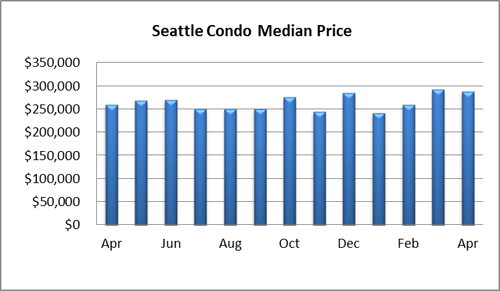 The citywide median condo sales price rose 10.58% over last April, the 9th consecutive monthly year-over-year increase, but dipped 1.7% from March to $287,500. Even still, it’s the 2nd highest amount over the past 24-months and we will likely outpace 2012 levels for the reminder of the year. 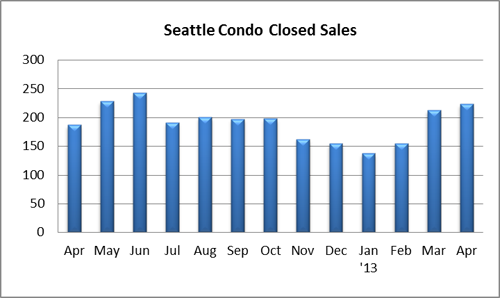 Closed condo unit sales rose 19.3% over last April and 5.2% over March to 223 properties. 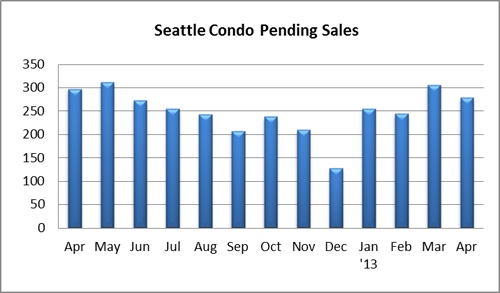 However, Seattle’s condo sales velocity slowed a little in April with 278 units going under contract (pending status), a drop of 6.4% from the same period last year and a one-month slide of 9.2%. We typically see unit sales volume rise through early summer before plateauing so it is a little deviation from the norm this early in the season. Available inventory remains low, which may be contributing to the slower sales pace, as are rising prices and a number of buildings under litigation that limits the pool of buyers and sales opportunities. 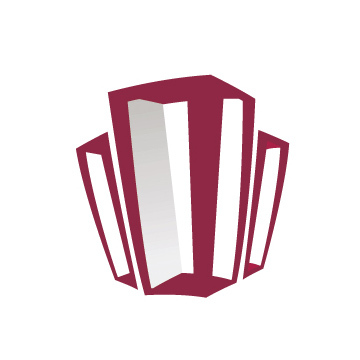 For instance, a number of condo developments from the last construction cycle are currently in litigation over warranty/defect claims including Gallery, Parc, Mosler Lofts, Veer Lofts, Trio, Brix and the Cosmopolitan to name a few. A number of others are undergoing significant repairs with special assessments. With both of these situations, lenders tend to be weary about providing purchase loans and thus limits sales in these buildings. Although inventory remains low, the number of available condos for sale increased last month to 379 units, up 6.5% from the prior month, yet still below 2012 levels by 39.4%. 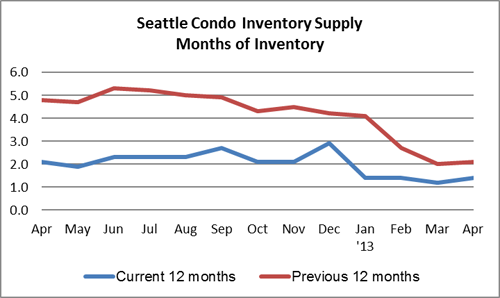 The rise in actives listings combined with a dip in sales velocity resulted in a slight bump in the Seattle condo inventory supply rate from 1.2 to 1.4-months of supply. 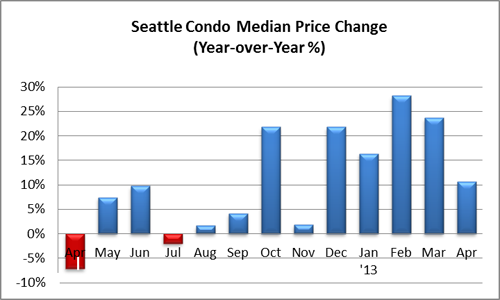 However, that is still reflective of a very tight seller’s market, which is not likely to ease anytime soon. What does this mean for buyers? In this market buyers will need to have patience for the right property to come available, and when it does, they may need to be prepared for multiple offers from competing buyers, which may well raise the price over list. It will be more difficult, though not impossible, to find bargains. Cash buyers may have leverage, particularly for condos under litigation, where sellers will be challenged to find other qualified buyers. What does this mean for sellers? If you are selling a unit in an unencumbered building, the ball is in your court. 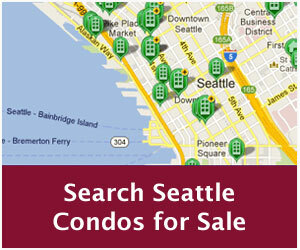 Priced accurately, staged and in good condition, your condo will no doubt sell quickly and probably at a premium. On the other hand, if your building has the challenge of litigation or facing a large assessment, you’ll need to adjust your expectations for a quick sale and a bidding war. 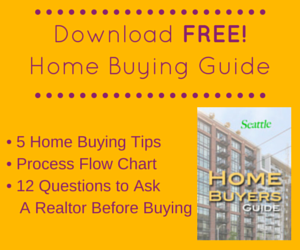 You’re either looking at a cash or high down payment buyer reducing your pool of potential buyers.